Yes, everything you’ve heard is true…. 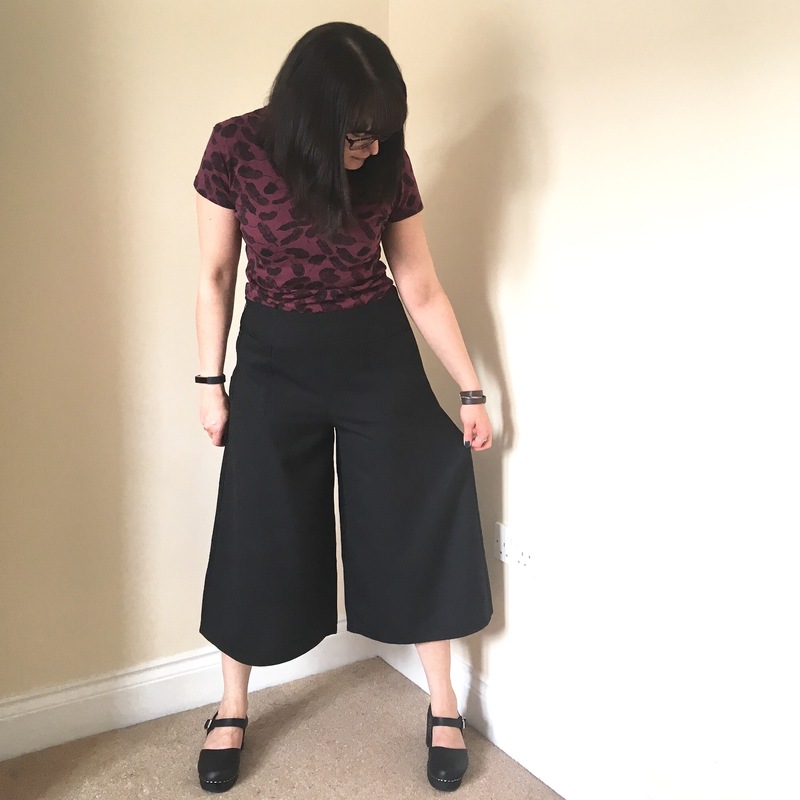 I am now obsessed with getting the perfect pair of culottes! 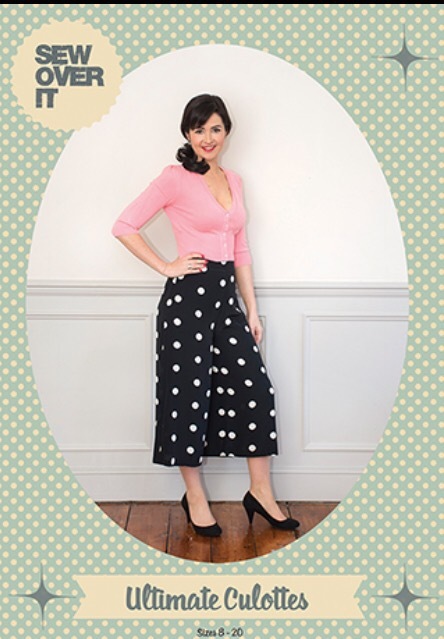 I have visions of culottes that will take me from work to evening with grace and glamour in a seamless swoop! 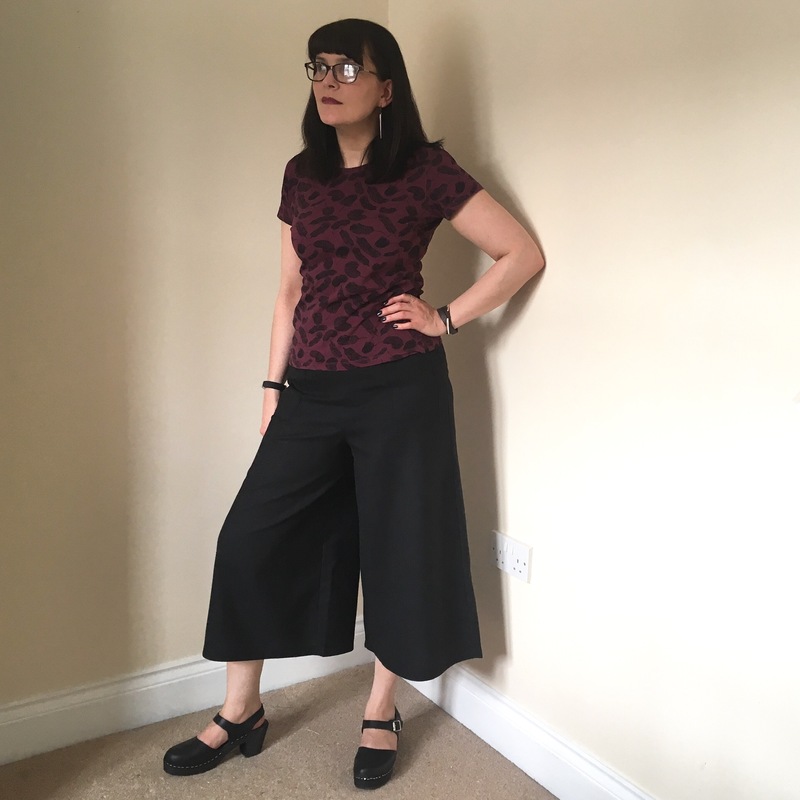 Ok that’s maybe asking a bit much, I have very little grace and my glamour rating doesn’t even register… but that doesn’t mean I can’t have a great pair of culottes and feel awesome right? So I tried a slightly different pattern from my last pair. One that doesn’t have quite as much volume…. and definitely no crotch creases!! And as if on cue, a new pattern was released by Sew Over It called, wait for it…. 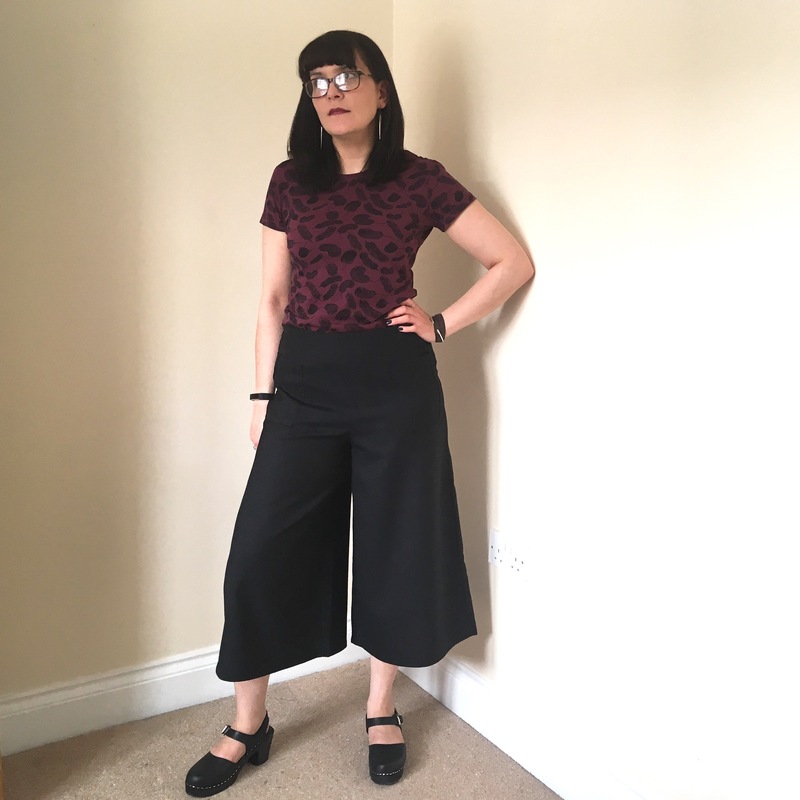 Ultimate culottes! I mean, could I go wrong with a name like that?! And just look at these bad boys, they’re amazing!! I don’t know about you… but what I see are possibilities!! I started with a suiting sort of fabric… you know… work appropriate. And threw caution to the wind and decided to just make them straight as they are in the packet. I opted for size 12, because that is my usual RTW size for bottoms. I also decided to make the version with the waistband and belt loops. The fabric is really hard to see, but it’s an off black/ charcoal grey sort of a colour. It’s also a polyester blend (not sue what it was blended with, maybe the tears of unicorns), it does have a lovely drape, but doesn’t have any transparency which lighter fabrics usually have. So as far as fitting goes… yeah I hit a couple of problems there. 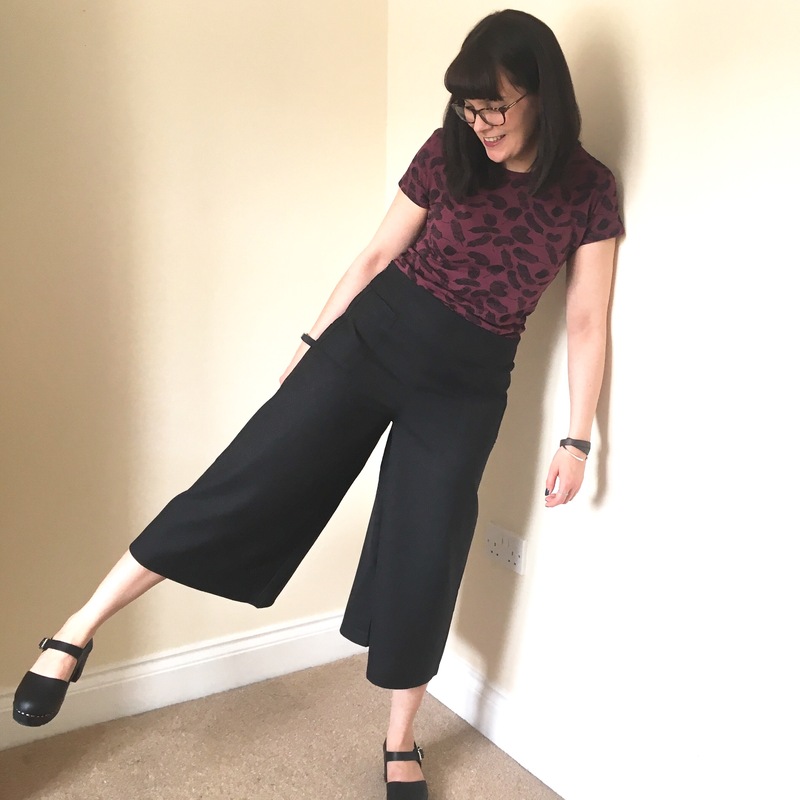 Not with the leg part of the culottes… as you can see, there’s plenty of allowance there! But it was the waistband that got me! 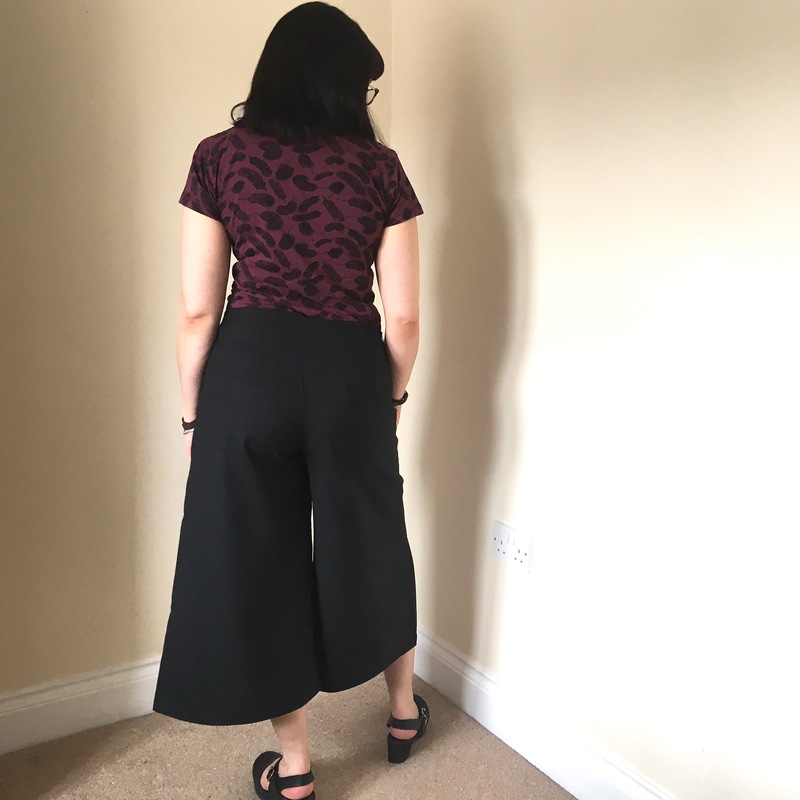 I actually cut out a chunk of the back waist hem to accommodate my bum and short back (the waistband was halfway up to my armpits before i did that!) and for some reason I thought I would still be able to attach the waistband as it was from the packet. Logic would have told me that cutting out a wedge from the back would mean I would need a much differently shaped waistband! But no… I kept trying to pin it on and wondering why it kept ending up too short. Honestly!! So I eventually gave up on the waistband. But by that point I was pretty angry with the whole thing (well, ahem… myself), so I refused to faff around trying to self draft a waistband… or a facing… or even dig out a waistband that has fit me from other trousers… it wouldn’t have even taken me that long, but I am a stubborn creature. So what did I do? Well I resorted to my best friend in the sewing box… I Bias bound the waistband, flipping the whole thing in on itself so you can’t see it from the outside. It kinda worked! 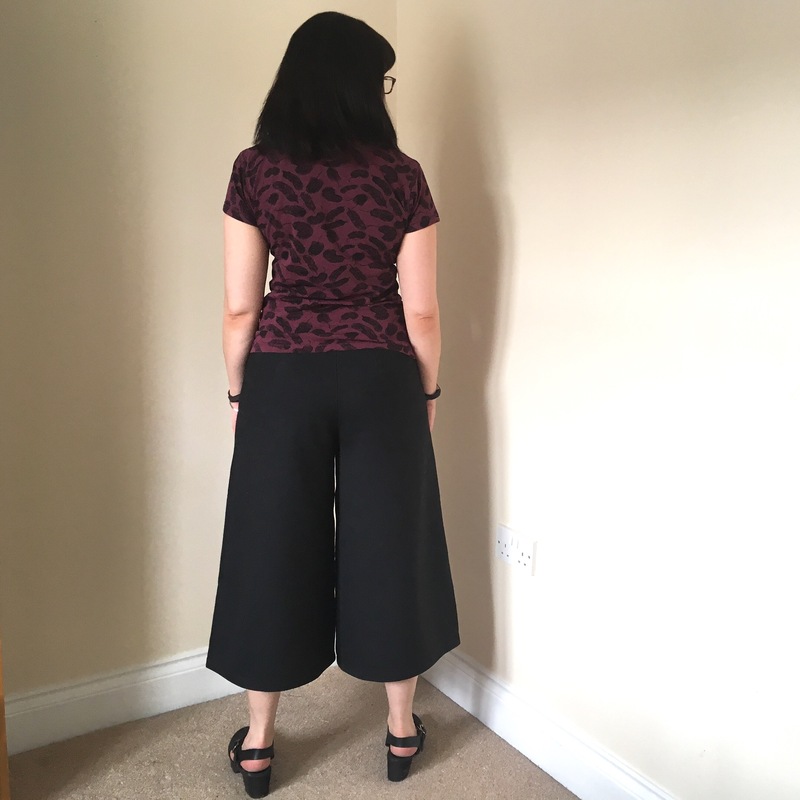 I think by that point I just wanted a pair of culottes done, finished and wearable!! They actually fit really well around the waist now… but the fabric does stretch with wear. This means they are much roomier at the end of the day than at the beginning. But they don’t threaten to fall down so I’m just going to stick with it! My only criticism of this pattern really is the lack of detail on the front. It just feels like there is a huge expanse of hips going on there. So I decided to add some detail. I’m not sure if you can see on that picture that I put some patch pockets on. Just basic square ones (though I did fold under the edges of the sides forward to create some detail, then the top and bottom to the back). I really like them with the pockets on, and I’m wondering how some scoop pockets might work… a bit of pattern hacking might be in order there!! There you go, you can see the right pocket a little better on that photo. The width of the legs is just perfect!! There is drama without it being over the top… which is just how I like things. I didn’t even adjust the length of the legs… which I would normally have done. I think I like them falling just below mid calf. They also work with either tee or blouse in or out (tucked in or left out that is). 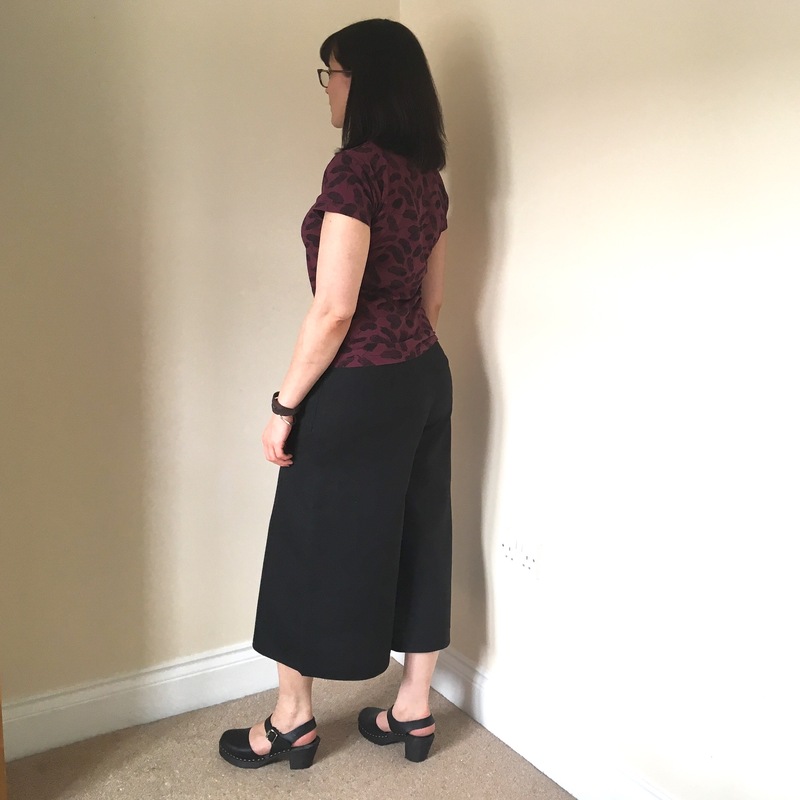 I wore them to work with a cropped length blouse and they were just perfect! I really felt sophisticated and stylish in them… my own version of style mind you, because these just feel very ‘me’. I will make another pair… with a proper stabilised waistband or facing! These are a wearable muslin of course, and to anyone who knows where to look, they look like it too. The zip is a bit botched, and the waistband is just horrendous on the inside. But I won’t be showing, many people my inner waistband… actually I won’t be showing anyone it… why did I say many… who does that?! Yes for all the swearing that was involved in making them… they are a win. And I even have enough of that fabric left to maybe try a skirt?… maybe. Next Post Tabor… with stars on it!